As teachers, we all face situations where we accommodate students with special needs in our classrooms. In such situations, how can we modulate our teaching to ensure that we reach each and every child? This integrated course, Understanding Special Learning Populations is designed to help teachers encourage and maximize each child’s potential. Terms like Autism, ADHD, learning disability and gifted learners are being constantly used. What is it? What makes these children unique? And most importantly, how as an educator can you enhance their learning ability? These are questions that are answered in this course. The integrated course has three parts, each one dedicating to a particular special population, namely Introduction to Autism, Understanding ADHD and Differentiation for Gifted learners in the Classroom. The course presents various strategies, adaptations and modifications to the environment and the mode of instruction that help teachers accommodate and teach students with these conditions. Along with enhancing an educator’s skills, the course is rich and filled with ideas and suggestions that promote your confidence in handling children of differing abilities. I found this course very valuable and effective. It helped clear a lot of questions I had about two of my students, and also helped me to better understand how to help them. Thank you! Seema I.
I really enjoyed this class. I thought the material was valuable and practical. I would recommend it to anyone in public school teaching! Jane D.
Thoughtful insights into how to help students with Autism reach their highest potential. Bethany G.
Really appreciate the practical application of these classes to teaching. Bethany G.
Very user friendly and overall great experience! Jamie M.
Great course! Great staff, they always replied in a timely manner! Nadia A. This course on ADHD was very interesting. Thank you much! This course on ADHD, in my opinion, may have been the best one yet. Very informative and very clear an too the point concerning information. I really enjoyed this course. This class furthered my knowledge in the subject areas and is helpful in and out of the classroom! It was easy to sign up for the class. Working at my own pace was practical.This course offered many useful suggestions. I will highly recommend the Professional Learning Board, you all have been awesome! Wishing you all the best of continued success. Enjoyed learning about this subject matter. This was a wonderful opportunity and excellent teaching resource! This course was exactly what I needed. 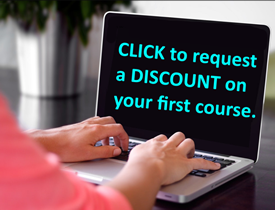 The online course was easy to navigate and the content was very interesting. Thanks you! Taking the course Understanding Special Learning Populations was an extremely positive experience for me. Not only did I learn a tremendous amount, I found the customer service and support from the Professional Learning Board staff outstanding! I look forward to taking more courses with you in the future. Before taking this course, I had tried understanding and learning by some professional development classes/conferences/workshops, but never at this depth. It has been very eye-opening to learn how the brain operates when any of these conditions are present. I feel a lot more confident to face my students, since I have the basic tools to understand what I am looking at and, therefore, I can be much more effective when dealing with the issues related to this group of students. I am excited about reading and keeping on educating myself, so I can be the best I can be for my students. I would like to share what I have studied with other teachers and help them to overcome obstacles we all encounter in our classrooms. I thought this was perfect for me, I would love to have a book or hard copy so that I can keep looking for the information to use in my classroom. The class was repetitive in a GOOD way! Reviewed ideas helped me to connect them with situations and commit to memory. I learned so much! I have not taken any special education classes and this gave an excellent overview that I can readily apply to autistic children in my life. Thank you for this site! I needed 4.5 hours and this site made it easy and convenient! I liked this course as a teacher and as a parent of a gifted child. There were strategies I could use right away to honor different students and their strengths. Very interesting course, my favorite so far. Thank you for this opportunity; really relevant material and excellent skill ideas to assist the teacher with ADHD children in the classroom. This was a well-organized and informative lesson. It was interesting to complete, and I know that I will use the ideas to help my students with ADHD issues have a better school experience. Thank you. This was a well put together course. I have a step-daughter with ADHD and many of the strategies could prove very useful in helping her. Obviously, these same strategies could be helpful in the classroom as well. Thanks. I raised an autistic son. your information is relevant and helpful. Good courses, I appreciate the ease of taking these hours online. I learned a lot of different tips on how to make children with ADHD feel more comfortable and feel more successful in the classroom. I had a pleasant experience with this! Thank you! Good info and resources! Thanks. I really enjoyed this course. It provided me new insights, interventions, and ideas in providing a better education for students with autism. I am currently serving as a special education teaching assistant at a school, and I will share it with the rest of my staff. First and foremost, thank you for providing a relatively easy resource for teachers to use to attain their clock hours for relicensure. I've really enjoyed taking these courses! They are overall interesting and educational! Thank you! Thanks for the great experience. Enjoyed immensely and learned so o o o oo much. This was a great course-not too wordy and full of great content! Great course a lot of helpful information. An excellent and comprehensive course on autism. Yet another excellent course!! Thank you! Excellent information. There is a lot of information and am very happy to be able to go back to my account and review the information. Thank you!! Another excellent course. This one really helps me better understand some behaviors of students who are having difficulties both in focusing upon their work and with classmate interactions. Wow! By far this was the most informative and beneficial course I've taken. Regardless of which students I may be working, this helps me to have a better understanding of why a student may be doing something or other, and gives me pause to be a bit more aware of particular needs (which is asking for a bit more understanding and a lot more patience on my part.) Mike J. Thank you for your wonderful customer service support. I was very impressed when I called in for assistance. "I really LOVED all the examples and websites that it offered for me to use later." "Being a substitute teacher, I have had some opportunities to work with children with Autism. This site helped me find some new ideas and strategies to use the next time I am subbing." Love the courses and they met my needs! I think that the assessment portions sometimes try too hard to be ""Fun"" which is great in theory, but it takes a lot of time to fill out crosswords or do mazes, when I can simply answer the question and move on. I prefer straightforward quizzes, rather than puzzles etc. WOW is all I can say...it was an accident that I found your site and what you had to offer. So far EVERYTHING with PLB has been top notch! I learned something, the experience has been exceptional, and now the paperwork to get the transcript from the university for my re-licensee and lane change seems to easy...I'm starting my next class today. I plan on letting my colleagues all know about you for their future classes. Thanks again for being there! Kathleen R PS Finding you was the nicest accident I have had in a long time...lol. I enjoyed the course. Thank you for the topics you have and the ease it is to take the courses. I've enjoyed using Professional Learning Board to renew my license for the second time! This platform was so convenient and provided great new knowledge! As a stay at home mom who is seeking to keep my license current, the ease of use was invaluable. Thank you. The course was easy to navigate and very informative. I feel like it would be beneficial for every teacher to have more training in identifying these special populations and in addressing their special needs. I now feel that by taking courses like this one, we as educators could be more effective in meeting the needs of special populations. This course changed my understanding of autism dramatically and made me aware of the epidemic proportions of autism in the school population. I really enjoyed the course and learned a lot! I enjoyed this course and learned many new and practical strategies to bring into my classroom for September. The pocket guide is especially useful and practical! Thanks for all the information. This is a great way to learn! This course was a great resource for me. As I wrote at the start of the course, I would like to develop an Enrichment Extra Help for my Gifted students. This course gave me insight in how I should design this service. Thank you for a very useful course! We certainly received a wealth of information. Thanks! The "unlimited retake" arrangement enables the evaluation process to become an extension of the learning process. I had to take the quiz a couple times in order to score 100%. However, I was more willing to take the quiz and risk incorrect answers knowing I could review & revisit my selections. I think this was a great format and I'll use it with my students as well. The advantage of using online score keeping is that the students can keep track of their progress and submit their achieved 100% scores. How liberating for both students and teachers alike! Time spent on grading tests can be devoted to curriculum differentiation development! Thanks for a great course - I really appreciate all of the resources and knowledge I can use right away preparing for my new students this fall! This course has helped me to realize that differentiated instruction is a must in my classroom. This course has awakened me to the difference between a gifted learner and a high achieving student. My insight to the gifted student has been enhanced with the help of this course. I hope to bring my new-found knowledge to the classroom. This course has strengthened the belief that gifted learners do need a different type of instruction than regular students and special ed students. The course strengthened my belief in the fact that teachers must pay more attention to gifted learners. This course has really helped me identify the difference between a gifted learner and a high achiever. I previously thought they were the same but I realize now there is a difference between them. This course was a great resource for me. Thank you for a very useful course! I learned a great deal from this course. Thank you! This course has helped me have a better understanding of what a typical autistic child goes through a school day. Glad I took the class thank you. Click on the state link where you need to renew a teaching license. Click on the link below for a list of courses for international teachers.